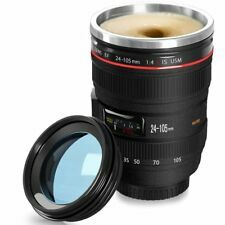 It is a CUP look like a LENS. 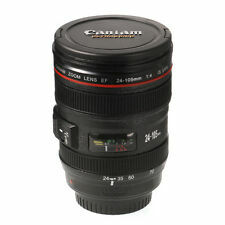 The creative cup design is a 1:1 simulation to the Canon EF 24-105mm f/4.0L USM Lens. Made of Food grade Stainless Steel & PVC plastic materials, safe to use for drinking. It is a CUP look like a LENS. 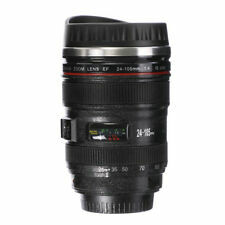 The creative cup design is a 1:1 simulation to the Canon EF 24-105mm f/4.0L USM Lens. Multi purpose, can be used as cup, ashtray, money box and pen holder. You can use it to drink Coffee, Milk, Water, Fruit juice, Ice-cream, and etc, as you can imagine. 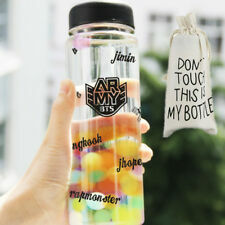 KPOP BTS ARMY MY Bottle Bangtan Boys Water Cup. Hurry to buy it. Dear Kpoper (kpop fans) from other land. --[Datacaciques code start,code,don't modify it]--> <style type="text/css">. This stainless steel folding travel cup has a 60ml capacity which is big enough to quench most any one's thirst with just a few drinks. Each cup is made from high quality, food grade, stainless steel which is great for safe drinking. Made of durable materials, food grade ABS surface, stainless steel thermos interior, safe to use for drinking. 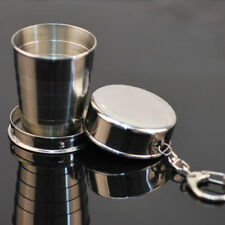 This lens cup is constructed by high quality material which is of food grade and safe for drinking. Multi purpose, can be used as cup, ashtray, money box and pen holder. You can use it to drink Coffee, Milk, Water, Fruit juice, Ice-cream, and etc, as you can imagine. 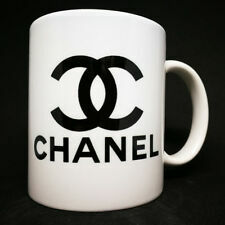 Type: Mug Cup. It is a CUP look like a LENS. Chuch Wagon Soda tin mug. Mug is slightly used but still in great shape. Mug is 32oz. Burton & BURTON White Tailed Deer Coffee Mug. 8 Point Buck Doe Forest Scene. Beautiful forest scene with white tail deer in a forest. Handle is white, inside of the mug is forest green. Beautiful embossed sailboat with seagulls on the ocean with land in the background. Colors are muted and the blues contrast beautifully with the solid background. White C-Handle Stoneware Coffee Mug with the classic APPLE - THINK DIFFERENT LOGO ON BOTH SIDES. Mug is in pristine condition. Look at ALL the photos. 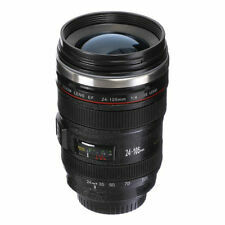 1 xzoom 1:1 EF 70-200mm f/2.8L IS USM Lens stainless steel thermos cup/mug. Cup lid with a sipping hole. Realistic details making it look like real lens. 1 x Lens Lid. 203mm (H) x75mm (W). From the Victorian Trading Co You've Been Poisoned Porcelain Teacup & Saucer Everything needed for a mid-afternoon refreshment. An unusual tea service allows a spot for berries and scones. Cup & Scone Saucer. 3"h x 9"w x 6.5"d. Porcelain. Holds 6oz. Dishwasher safe. This collectible pottery mug is in excellent condition. Beautiful hand painted seascape with sailboats, seagulls, harbor buildings, and lighthouse. Colors are bright and vibrant. And pictured are desserts, a coffee cup and saucer and coffee pot. The mug is fine stoneware, made in England and in excellent condition. Burgundy and black Qatar ticket design for Hamad International Airport. White porcelain mug. Capacity - 10 oz. No lid, cup only. Double walled ceramic for hot or cold beverages. Non-slid base and should fit most cup holders. Capacity - 14 oz. Picture It Sicily 1922 The Golden Girls Large 15 oz Coffee Mug. Made of White Ceramic with Black Handle & Matching Black Interior. Dishwasher & Microwave Safe. HARRODS KNIGHTSBRIDGE FINE BONE CHINA COFFEE CUP/MUG- MADE IN ENGLAND-STUFFED TEDDY BEARS ON A ROCKING HORSE-READING A BOOK-PAINTING AT AN EASEL. It's a great souvenir that's only sold in the park. Great design of a "Toxic" Jester. This Cup is in Collector Condition. This great vintage mug showcases the B2 Stealth Bomber. Plane and radar change color when they get warm. Great condition with no issues. Thanks for looking at our items and have a great day! This is a Susan Winget Design. This is an overall black mug with a splotched effect as you see in the pictures. Don't forget man's best friend. Take a look. Individual collars are still available at a great price. Collectible Nickelodeon Mug featuring Ren and Stimpy, Rugrats, Hey Arnold, Spongebob, and more! Dishwasher Safe. 3 1/2" high, United Way coffee mug by Glasbake. Deneen Pottery. The Little Brown Hen Cafe. Florence, Oregon. This is in very good used condition and will be an excellent addition to any collection! Original Box: Not Included. Microwave Safe: Yes. Other Defects: None. This mug is perfect for your mug collection. Microwave and Dishwasher safe. You can use it to drink Coffee, Milk, Water, Fruit juice, Ice-cream, and etc, as you can imagine. Made of food grade stainless steel & plastic materials, safe to use for drinking. It is a CUP look like a LENS.